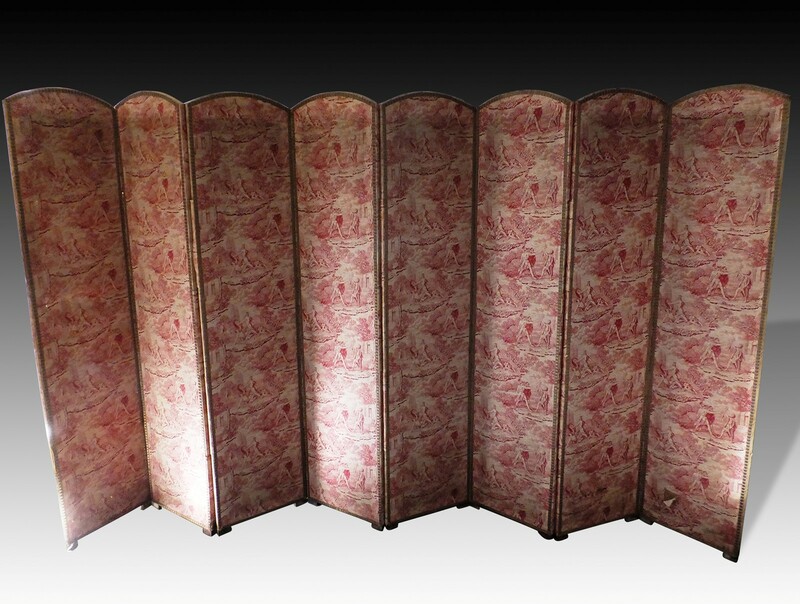 Beautiful, 8 panel screen in a rare Toile de Jouy fabric, depicting classical Roman scenes. 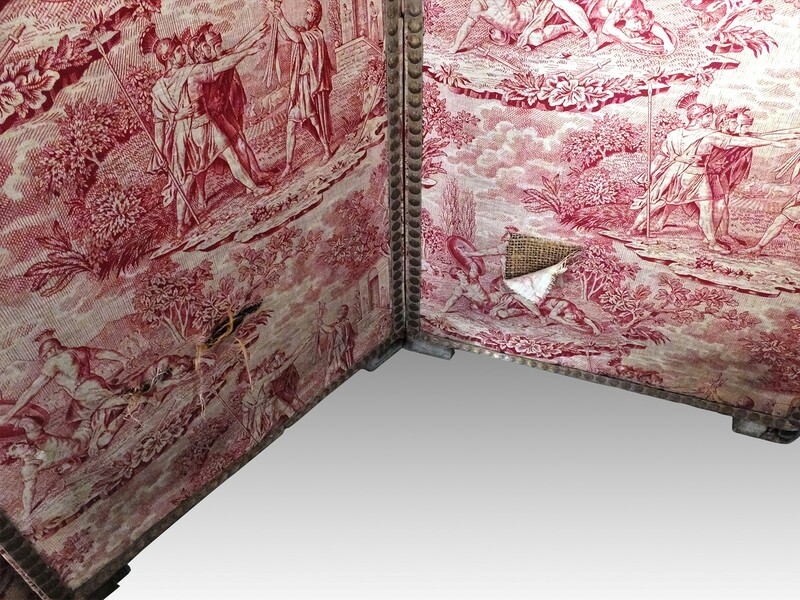 It retains it’s original colour on one side and is charmingly time faded on the back. Shows some signs of wear, commensurate with it’s age, which we have left untouched.